Historians must reconstruct the past out of hazy memory. "Once upon a time" requires "second sight." The "third eye" of intuition can break the "fourth wall" of conventional perspectives. Instead of "pleading the fifth," historians can take advantage of the "sixth sense" and be in "seventh heaven." All with the power of hindpsych, the "eighth wonder of the world." It has been said that those who forget the past are condemned to repeat it. Therein lies the importance of Tarot readings for antiquity. When we confirm what has already occurred, we break the shackles of the past, freeing ourselves to chart new courses into the future. Cards from a hitherto unseen Cactus Tarot appear in the choose-your-own-adventure puzzle book entitled This Book is a Cactus. Indeed, a tarot reading got planted among prickly logic puzzles, riddles, mathematical conundrums, and word enigmas. Thank you Adam, who writes: "And what a fun book this is! It’s great exercise for the brain to participate and interact with something that doesn’t require batteries or an internet connection. Oddly, I still haven’t killed my cactus. Though I have been tempted a few times. 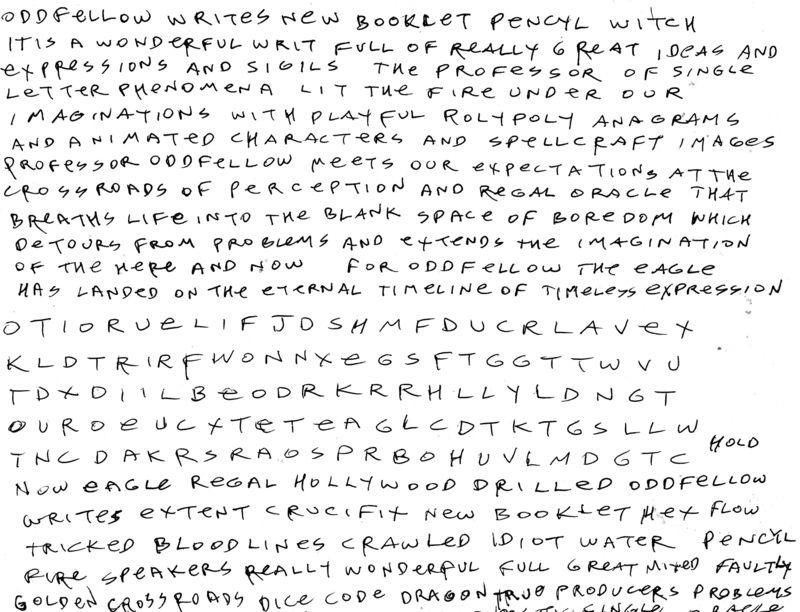 Ha ha ha…"
Oddfellow writes new booklet Pencil Witch. 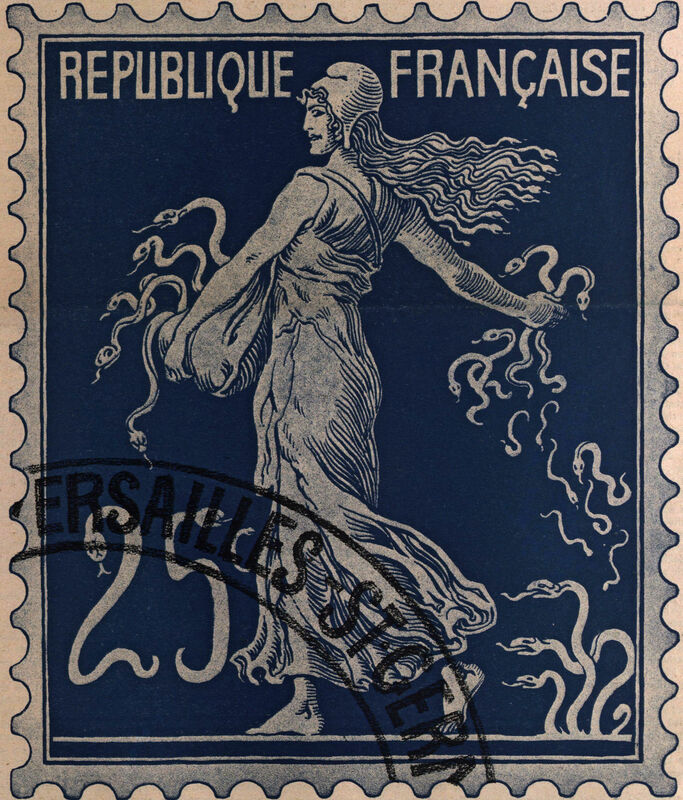 It is a wonderful writ full of really great ideas and expressions and sigils. 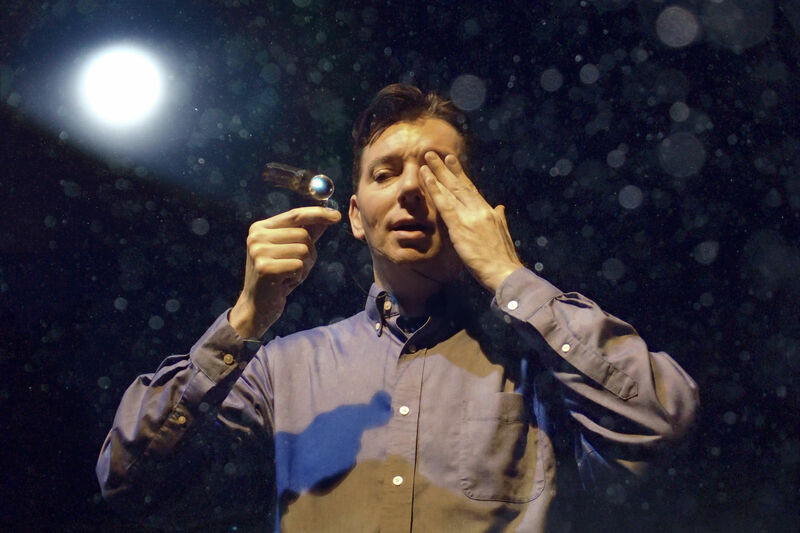 The professor of single letter phenomena lit the fire under our imaginations with playful rolypoly anagrams and animated characters and spellcraft images. Professor Oddfellow meets our expectations at the crossroads of perception and regal oracle that breathes life into the blank space of boredom which detours from problems and extends the imagination of the here and now. For Oddfellow the eagle has landed on the eternal timeline of timeless expression. 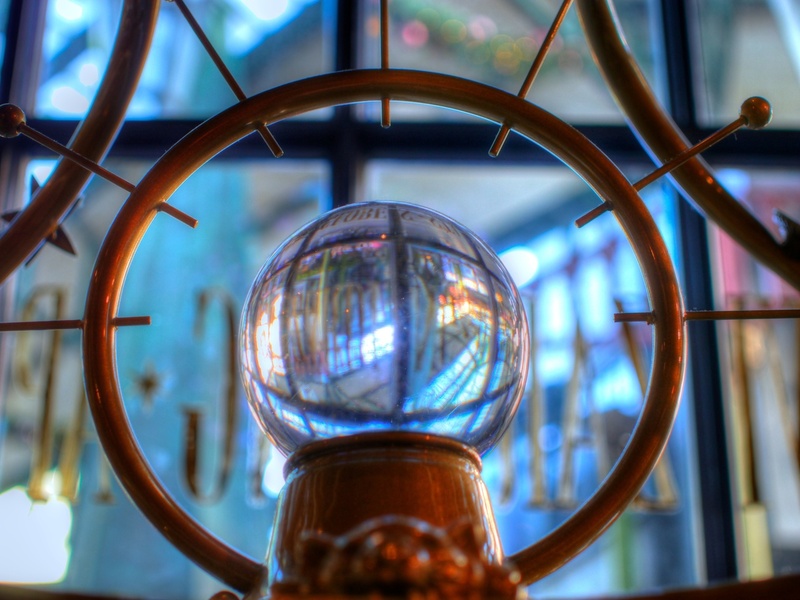 One of our greatest pleasures lies in capturing on film the mysteries of crystal balls. 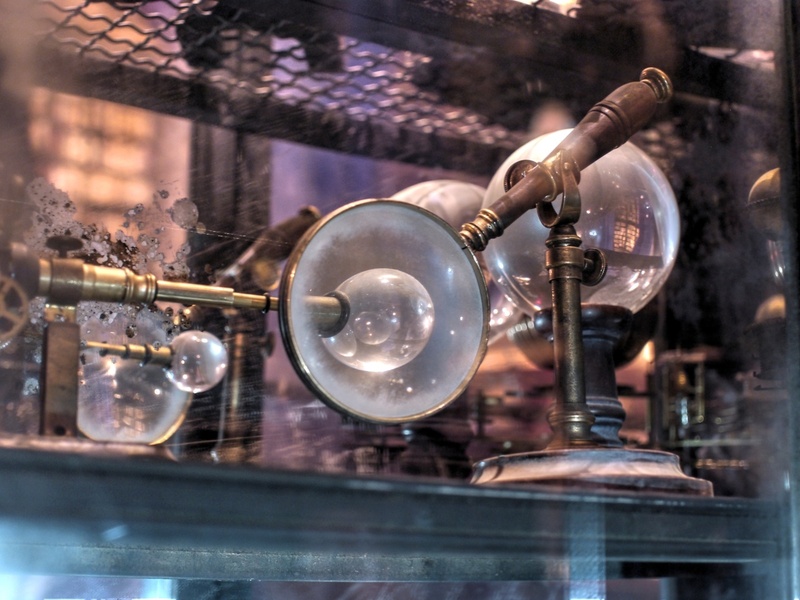 These eight examples are of favorite crystal balls within cabinets of curiosities, all located within ... well, many will recognize the location! (Anyone who doesn't know but would like to should drop us a line, and we'll gladly reveal all.) The first six of these photos were taken in near complete darkness, the balls themselves nearly undetectable by the naked eye. 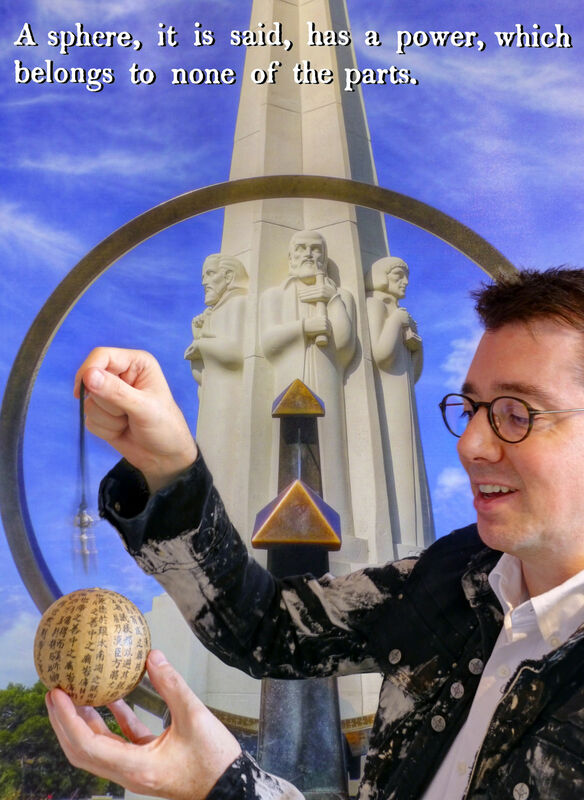 On occasion we take portraits of crystal balls in the collections of seers and aficianados (or "buffs," as they might better be called). See the full review here. The deck is also available at GameCrafter. Look inside the book over at Amazon. 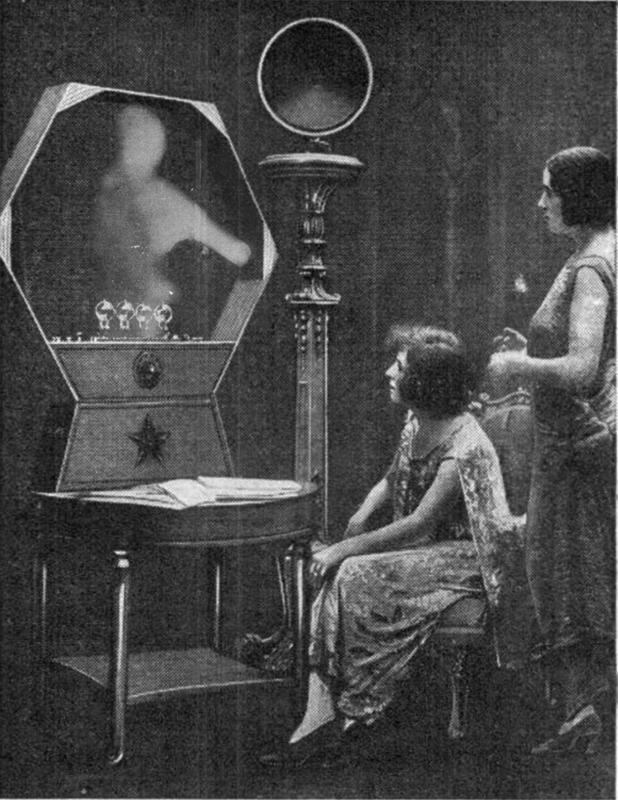 It's technically impossible to separate an automaton fortune teller from the world of myth and dark fairy tales, not only because automata are from that world, but also because their makers were touched by stories that they heard or invented themselves and then tinkered and carved and clockworked their creations to open the eyes of their audience. The Devon Guild of Craftsmen has noted that "making automata is difficult. Making other sorts of three dimensional objects can also be hard, but the extra dimension of movement seems to add a disproportionate amount of difficulty. Moving parts involve principles (physics, not morals), levers, shafts, cranks, cams, springs, linkages, ratchets, drives and gearing. 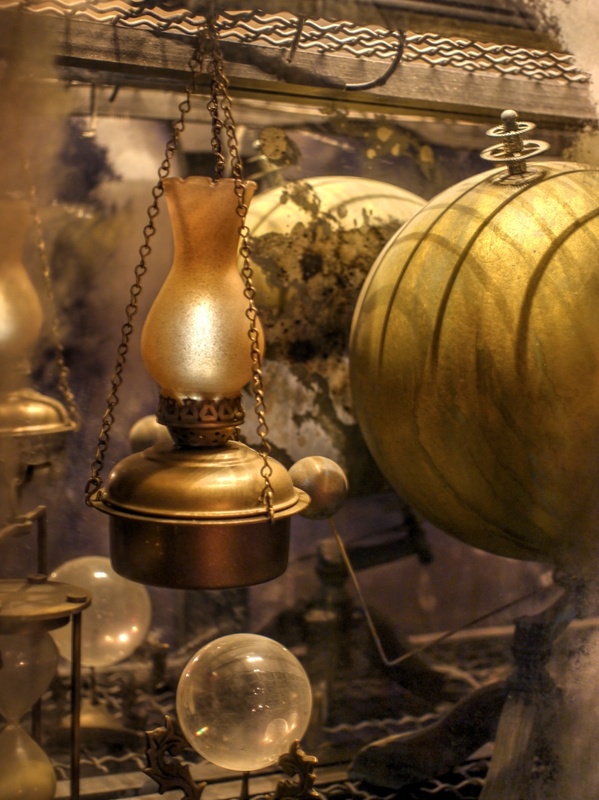 No wonder some of our makers have built whole, imaginary worlds around their pieces." We would disagree that moral principles are not involved, but we can't scientifically prove that and so will let the point go. 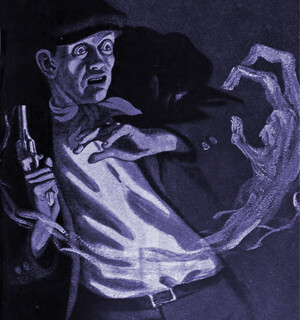 Lady Audley is currently in the collection of Bruce Toriello, host of "Tales of Midnight." 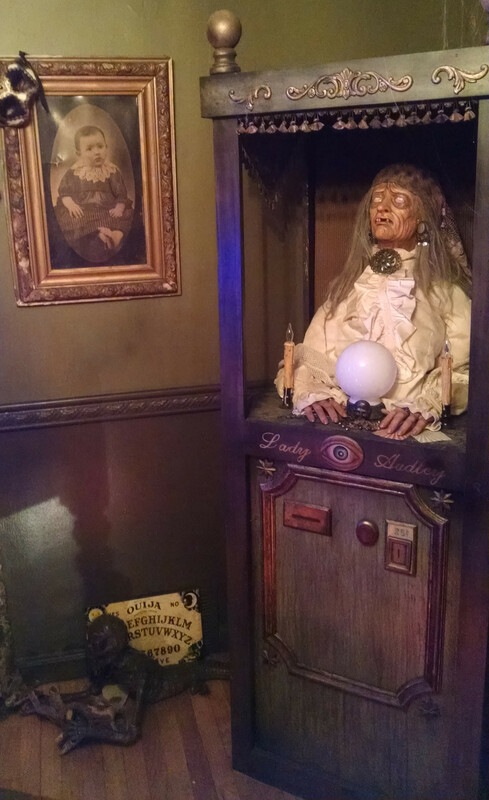 Take just one look at the fortune telling automaton Lady Audley, and a dark story already begins to unfold. Her history has been traced back to a New Jersey boardwalk's penny arcade in the 1920s. From the very beginning, visitors sensed that Lady Audley had a life of her own. The cards she dispensed not only predicted the future but also seemed to know the present uncannily well. Lady Audley notoriously wouldn't respond to questions she felt were superfluous, and on occasion she would even volunteer information about subjects she felt important, without having been activated. One of the strangest rumors was that no one was ever seen refilling the fortune cards disepensed by the machine, which begged the question of where exactly they came from. In 1964, the boardwalk was set ablaze and nearly three dozen people were unable to escape. The arcade was the first to burn, and its sole survivor was Lady Audley. The arsonist turned out to be one of many who claimed to be held under her strange mystique. He felt a slave to her predictions and would travel nightly to the boardwalk, desperate to know what tomorrow might harbor. He eventually determined that the only way to break the spell was through the cleansing power of fire. When he discovered that Lady Audley survived the flames, he went into a blind rage and took a bullet in the heart by police detectives. A fortune card dispensed by Lady Audley was recovered from his pocket. It read, "From six chambers will come the stillness of life's regret. Four chambers in a cage will be broken but never will forget." If it sounds like something out of an urban legend, remember that the truth tends to be stranger than fiction. Lady Audley's history is likely not just stranger than we know but stranger than we can know. Unlike the palm reader in Caravaggio's famous painting, who slyly slips off a querent's ring and so simultaneously reads and steals his fortune, an automaton behind glass cannot be a trickster. Indeed, the automaton behind glass does not cajole but rather sits still and quiet. If it embodies a motto, perhaps it is, "Let them come to me." The automaton does not and in fact cannot hawk superstition, nor can it make false claims. Gullibility or conviction is wholly upon the shoulders of those who would cross silver into the cabinet's coin slot. If the questions are self-centered, it is the querent who has trivialized the proceedings, not the automaton. If the prediction is laughed off, that's the querent's error and not the fortune teller's, for all oracles are true, as proven in Marie-Louise von Franz's On Divination and Synchronicity: The Psychology of Meaningful Chance (1980). 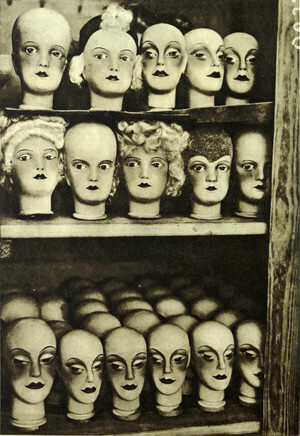 If the consultation is to be called a folly, recall that word's French meaning, "delight," and that foolishness is "wooden-headed" (reiterating that an automaton puts on no airs). 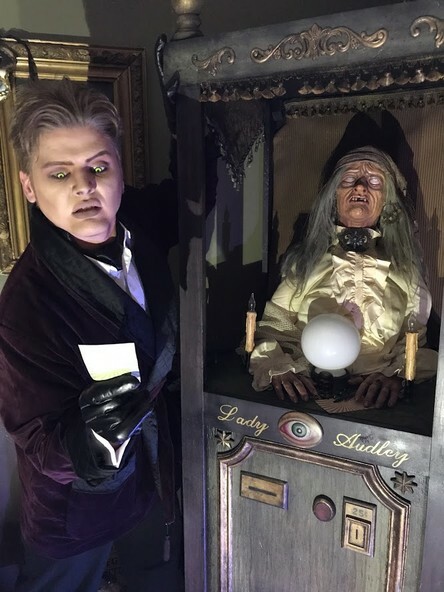 If one would call the consultation anything, perhaps it should be deemed a sin, for that is to imply that the automaton can reveal what God has wisely concealed and expressly forbidden, and what higher tribute could a fortune teller receive? Lady Audley negotiates a boundary between rational mechanism and legendary magic and thereby speaks of a double world. "The hard border between the natural and the artificial evaporates when machines are animated with life." She sits within a booth, the glass panels suggesting the hazy fringe between life and nonlife, the human and spirit worlds, possibility and probability, old wives' tales and unvarnished truths. For all her answers, Lady Audley's "undecidables and ambiguities"  spark even more questions … about her own cognitive autonomy, her immortality, her accountability, her imprisonment. Is she walled in, or are we? Does she act mechanically, or do we? Is she unsettling, or is there strangeness in everyday life? Indeed, the automaton that tells our fortune is uncanny not for its weirdness or otherness but, as Freud described, for its familiarity. 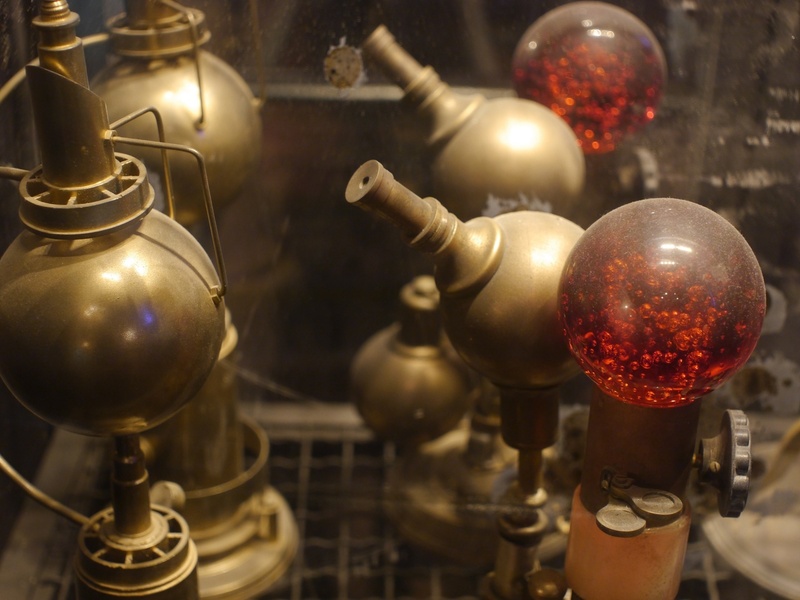 In the lingo of information science, "every automaton has a nonempty set of fair behaviors." That word "nonempty" is fascinating, for it's not quite the same as "full." Non-emptiness sounds like the opposite of Zen enlightenment, and it implies a transcendent state of release from death and rebirth that yet escapes utter annihilation. One recalls the "unpeopled space with presence" of Denise Levertov. "Nonempty" also recalls the "not zero" concept of fuzzy logic. A card-offering automaton may "not be playing with a full deck," as the idiom goes, but neither is it an empty deck or a zero-sum. That other word, "fair," is also crucial. It means unbiased and trustworthy. Then there's this question: is Lady Audley inhuman, and how can we know who isn't? For to call Lady Audley an automaton is to introduce a disquieting implication, since anyone else we encounter could be a perfected automaton, an android, a golem, or some other alien impersonator of the human. As Stanley Cavell has rationalized in The Claim of Reason (1979), "Obviously, you can never be certain that other human beings exist, for any one you single out may, for all you know, be something other than you imagine, perhaps a human, probably a human if you like, but possibly a mutation, and just possibly an automaton, a zombie … The world is what it is. And whatever it is, so far as you take it as inhabited by candidates for the human, you are empathetically projecting. This means that you cannot rule out the non-human (or human non-being) possibility." More than a fortune teller, is Lady Audley a votive object, a prophylactic talisman, a promise, a petition, or a phantom? Is she haunted or a projection of our own haunted selves? And can every single one of these admittedly profound questions be answered for merely a quarter? A quarter is half of a half, and it's one of the thousand paradoxes: "you can slice something into forever, halving" . 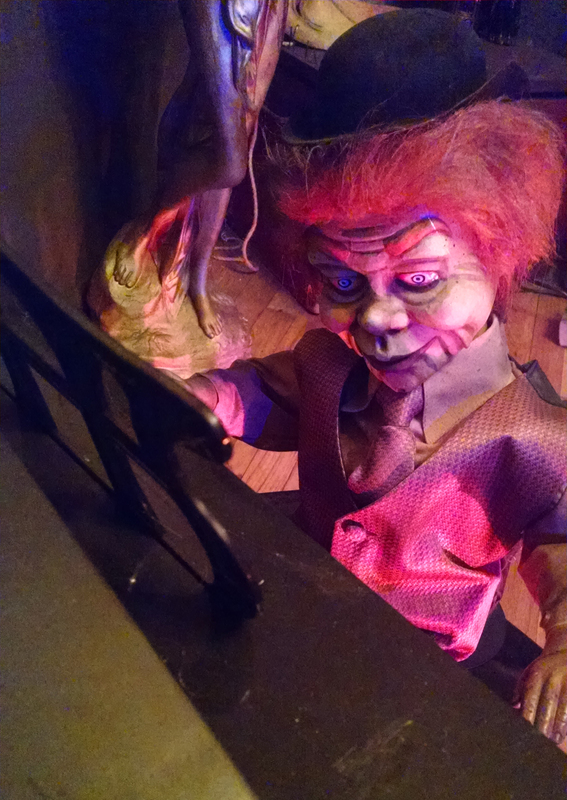 What parlor is more exclusive than the Houdini Seance Chamber in Hollywood's Magic Castle? (As difficult as it is to get into the Magic Castle, of those select few who know the secret word to whisper to the carved owl on the sliding bookcase, only a smaller fraction ever see the Houdini Seance Chamber.) 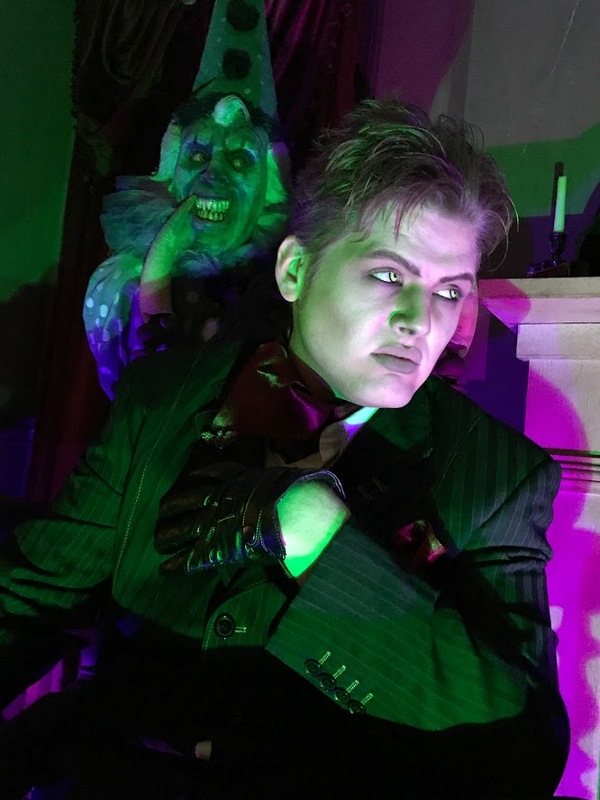 More exclusive than that is the macabre sitting room where the host of "Tales of Midnight," Spooky Brucey, divines the truths behind the most sinister legends on record. 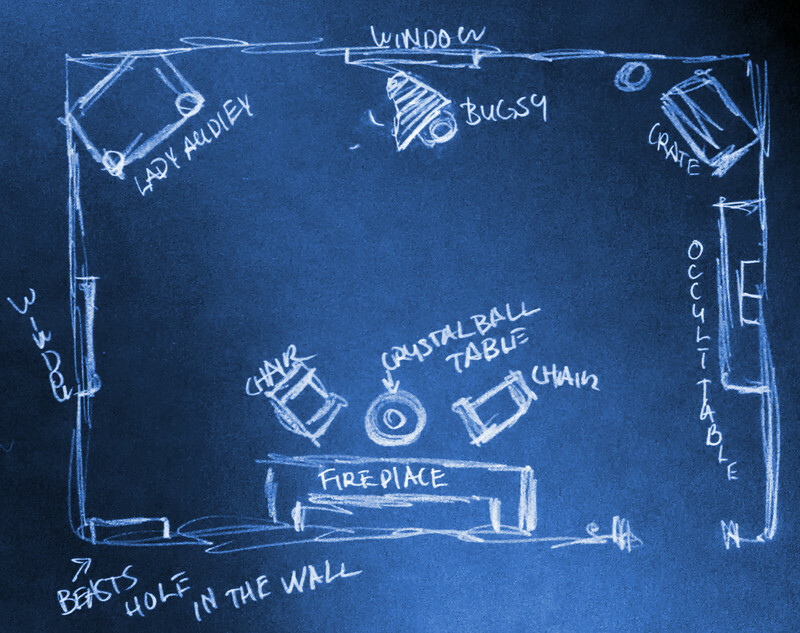 Through our network of masked contacts in arcane circles, we came into possession of previously uncirculated blueprints and photos of the Tales of Midnight parlor. 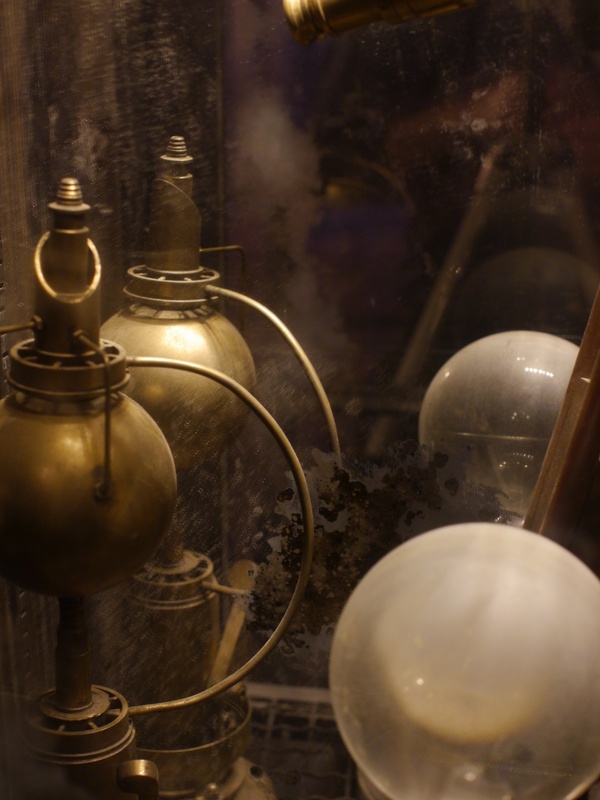 As this room is filled with age-old secrets, we thought to analyze it through the sage-colored glasses of ancient Chinese necromancy, as detailed in Seance Parlor Feng Shui. 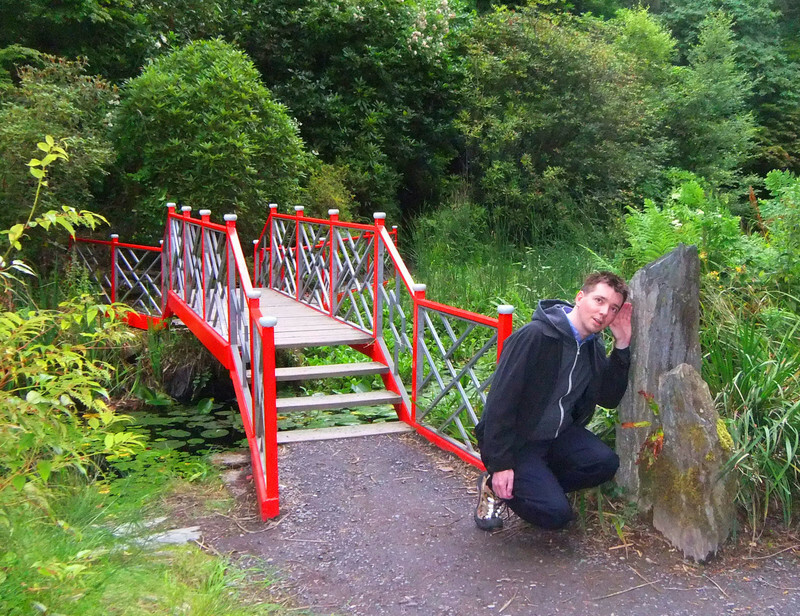 And we discovered more than a few surprises. The old wizards of Feng Shui overlaid an esoteric map onto an area to see how the arrangement harmonized with the elemental flow of existence. 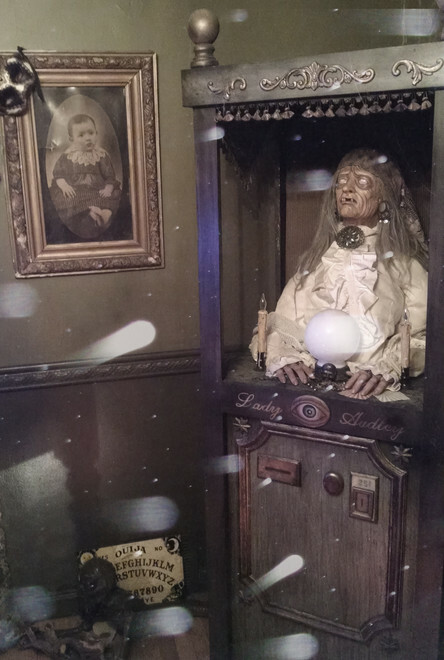 When we overlap that map upon Spooky Brucey's parlor, we see a stroke of genius right off — the placement of the fortune telling automaton, Lady Audley, in the room's upper left corner, exactly where the Chinese ancients identified the space of "Fortune." Lady Audley is not merely at home in this corner; it is here and only here that she can truly thrive as a prophesier. Incidentally, this automaton survived a boardwalk fire in 1964, the blaze having been set by a man who felt that Lady Audley enslaved him with a strange power and who sought to break the spell via purifying flames. A most intriguing revelation is the location of the "Beast's Hole in the Wall." This niche, partially sealed off with weathered boards, contains a carnival sideshow abomination that was rescued after being swallowed by a sinkhole in Florida. This beast sits in the "Wisdom" section of the room, prompting the startling suggestion that Spooky Brucey acquires knowledge from a seven-foot tall monstrosity that was first captured while it scavenged in a ruined Turkish necropolis dedicated to the god of the dead. This insight is perhaps one that Spooky Brucey would prefer to remain private, so we'll take that particular issue no further. 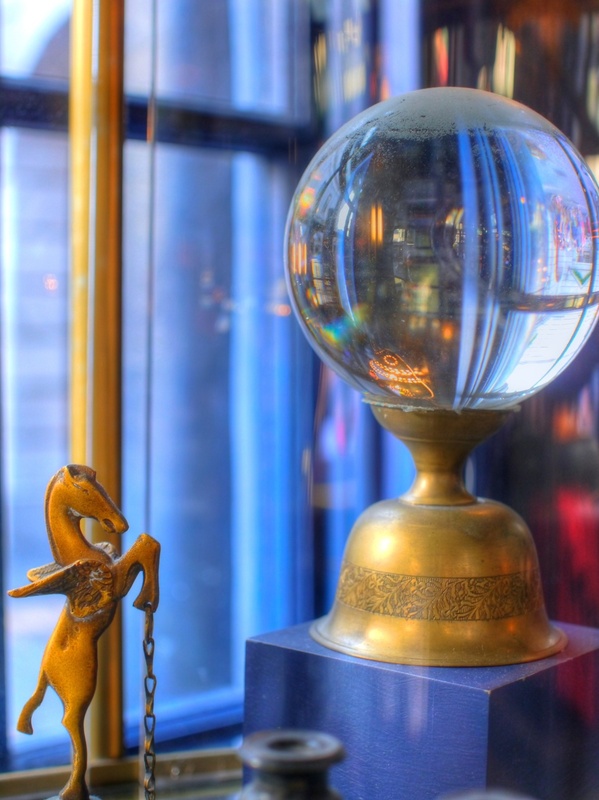 The crystal ball and its table are positioned in the "Career" area of the map, which indicates that Spooky Brucey has a calling to foresee, to foretell, and perhaps to forewarn. 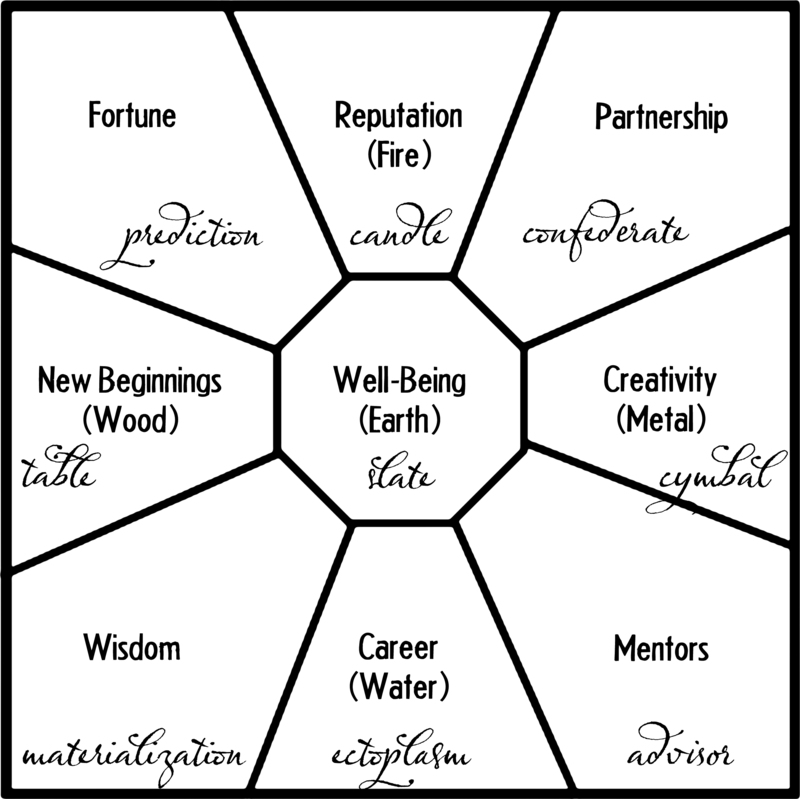 Interestingly, the two chairs at the seance table cross over into the "Wisdom" and "Mentors" areas. Whichever chair Spooky Brucey himself may sit in is therefore auspicious — if the "Wisdom" chair, his crystal ball readings will be shrewd, and if the "Mentors" chair, his interpretations will be strengthened by the guides and confidants at whose feet he has studied. 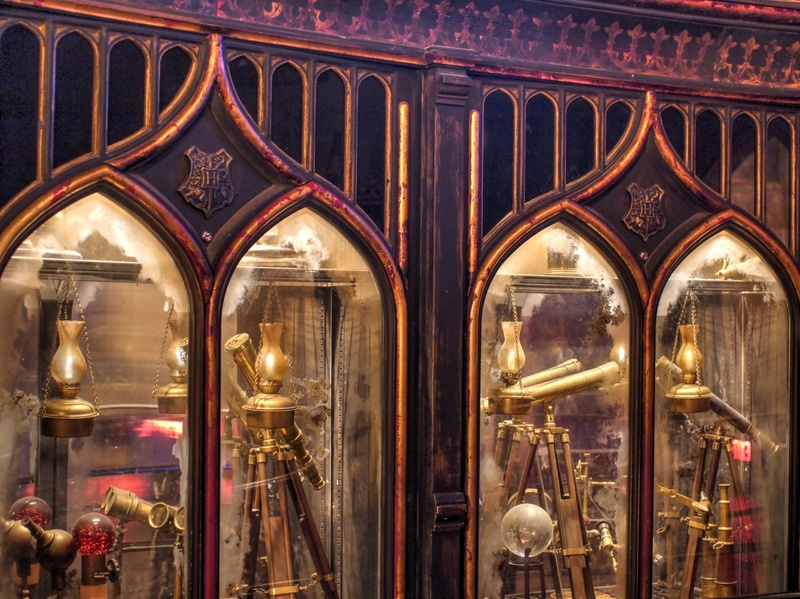 Note that the "Mentors" section also features the door to the parlor, meaning that Spooky Brucey is open to learning from new sources that enter into his life. 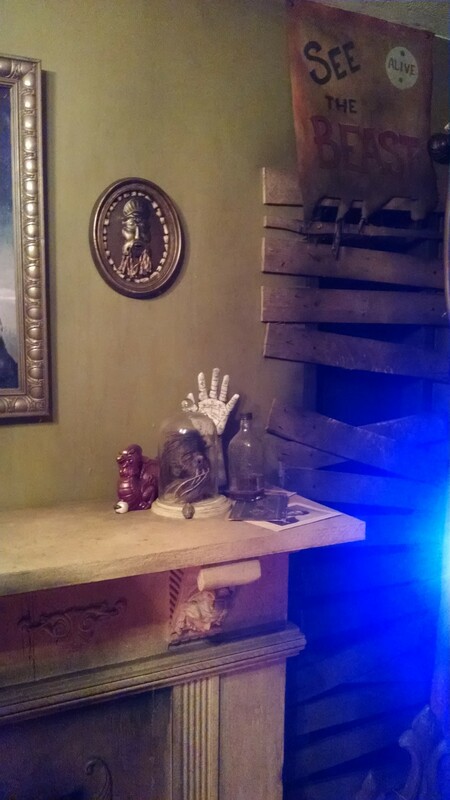 A table holding occult objects lies in the "Creativity" area, meaning that Spooky Brucey's original ideas are inspired by rarefied dinguses (or dingi). But more intrigue is found in the "Partnership" zone, where we find a wooden crate. Dare we wonder who — or what — constitutes Spooky Brucey's partner? Is the crate newly arrived from some exotic locale, is it being prepped for shipment, or is it a permanent fixture and merely cracked open occasionally? These are questions we may not ask. 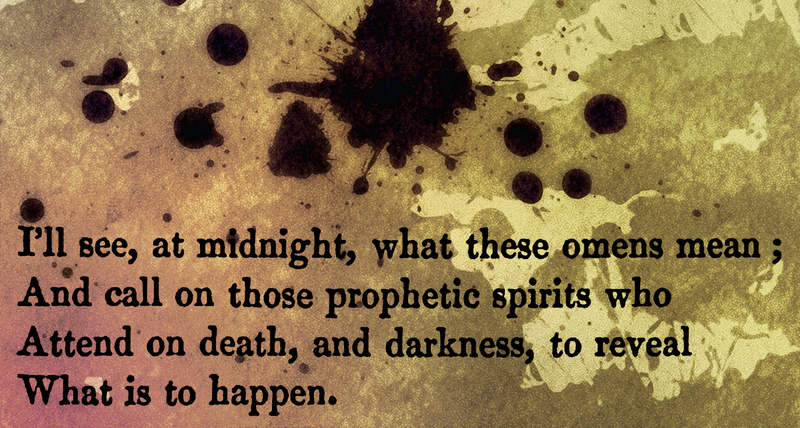 We mustn't overlook a rather profound paradox that exists in the Tales of Midnight parlor. The fireplace is in the "Career" zone, whose ruling element is water. 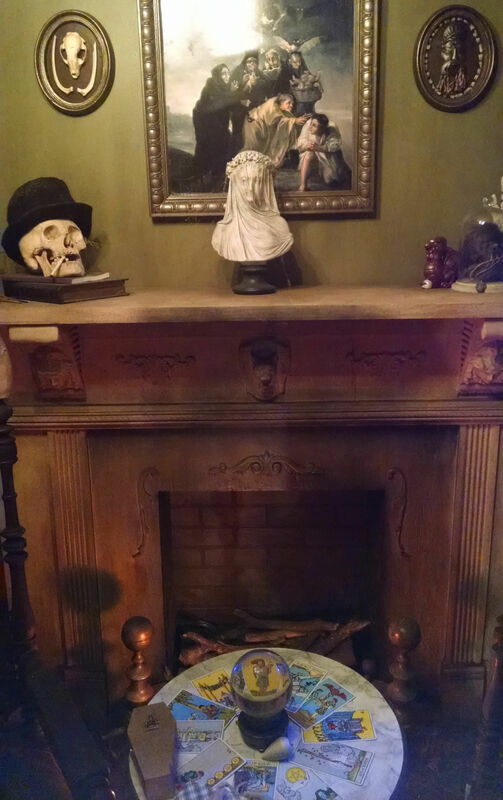 This suggests that the fireplace is perhaps ornamental or that the chimney is so corroded that it's unsafe for burning. Yet things are decidedly odder, for opposite the fireplace, in the "Reputation" zone ruled by fire, sits a vaudevillian magician's ventriloquism dummy found nailed in a trunk at the bottom of a lake. And so in this seance parlor, fire and water are inverted. There may be some sly technique behind this inversion, for if Spooky Brucey has concerns that incendiary gossip by tricky dummies may harm his reputation, he has dampened such fires with something decidedly soggy. And if the flow of his Water-ruled career is intended to get steamier, wasn't it the three witches in Macbeth who said, "Fire burn and cauldron bubble"? 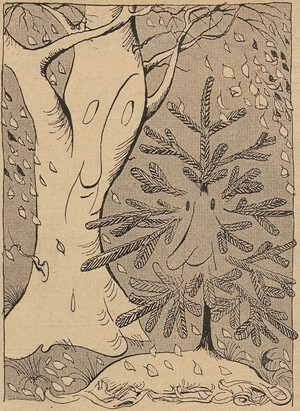 So even these two seeming violations of Feng Shui betray a seance parlor "on the ball," as it were. Only two zones remain. "New Beginnings" auspiciously features a window, symbolically a portal to another world. 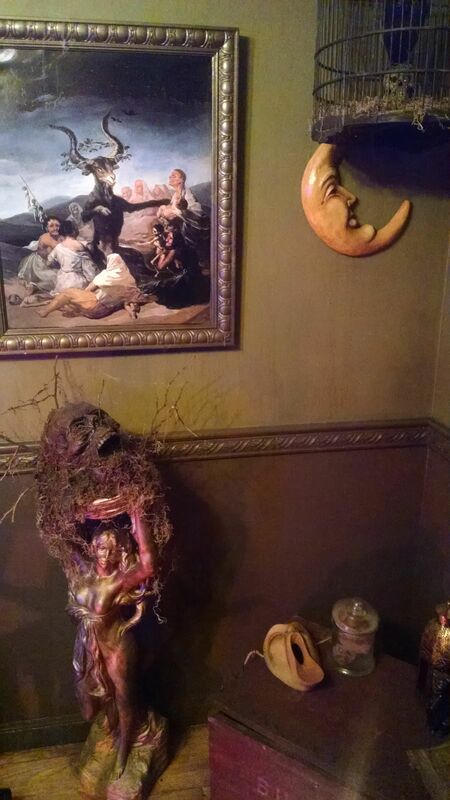 The center of "Well-Being" is the only zone bereft of objects, suggesting that the dead center of the room is where Spooky Brucey finds the most happiness, encircled as he is by the uncanny artifacts he has curated. The center of the room, being ruled by the Earth element, is here surrounded by its own zodiacal constellations, each with a unique story and intrigue. 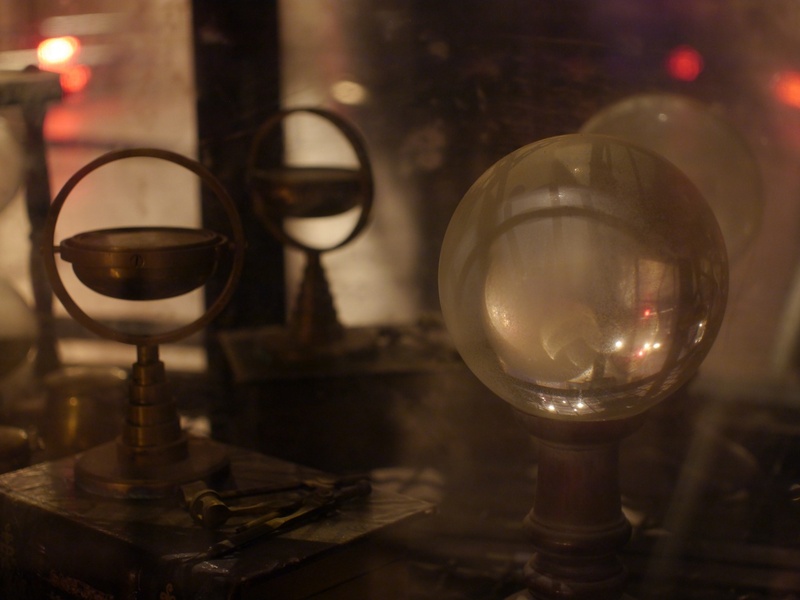 "I wonder if his crystal ball is a talisman, too?" 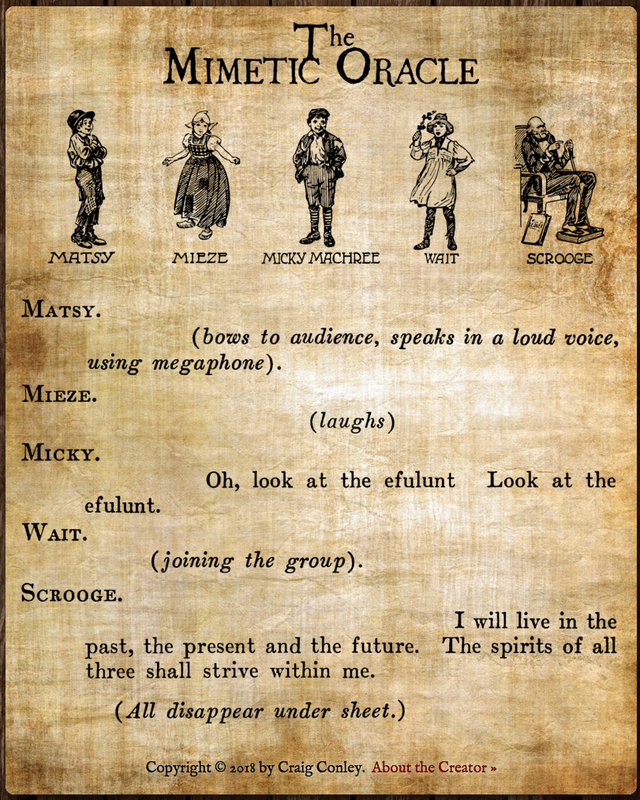 From Cut Adrift by Albany Fonblanque, 1869. 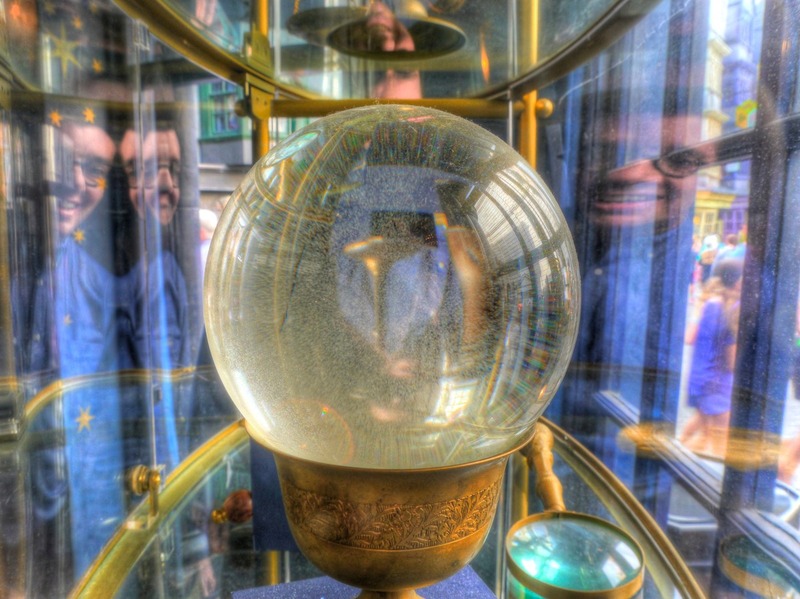 Pictured: In a magical shop at Universal Studios Orlando, we discovered a crystal ball that seems to project holograms of its gazers in all directions. Here's the snap we captured of the effect as we consulted the mysterious sphere. We, too, nicknamed our planchette "the despair of science." From Planchete, Or the Despair of Science by E. Sargent, 1869. "Major or minor success? 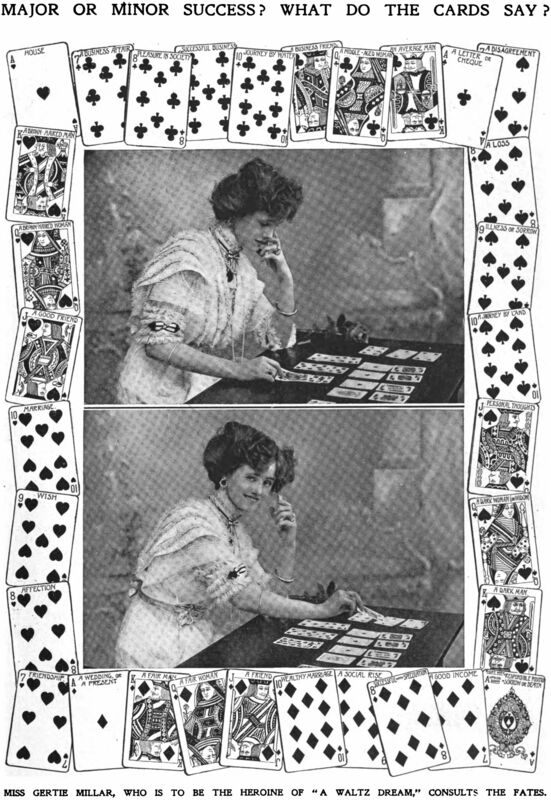 What do the cards say/ Miss Gertie Millar, who is to the heroine of 'A Waltz Dream,' consults the fates." 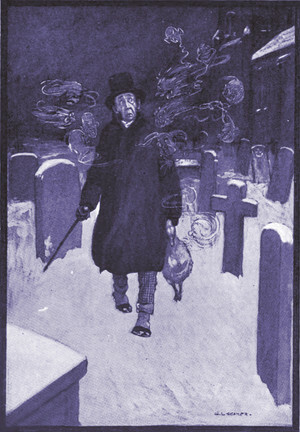 From The Sketch, 1908. "She died ... Is this home? ... Your friend ... So you wanna know ... I've always believed ... the universe ... conscious ... their soul ... family ... experience ... NDE's [Near Death Experiences?] ... if you will ... and I think ... it's time ... absolutely ... Tough night ... I'm fine now." We interpret this message to mean that our portable crystal ball possesses the spirit of a friend who died and is wondering if she's home. The rest of the message, intriguing as it may be, is possibly not directly related to our question, though we hope that the final "I'm fine now" is the crystal ball's resident spirit coming through again. Previously, we asked the Spirit Box 44 controversial questions and received very surprising answers. That project entailed a 20-page PDF, described here. 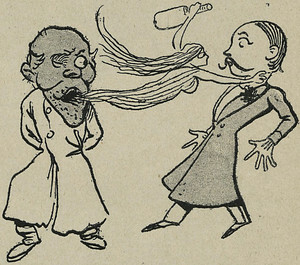 From "Superstition and Fact by Andrew Lang," in The Eclectic Magazine, 1894. 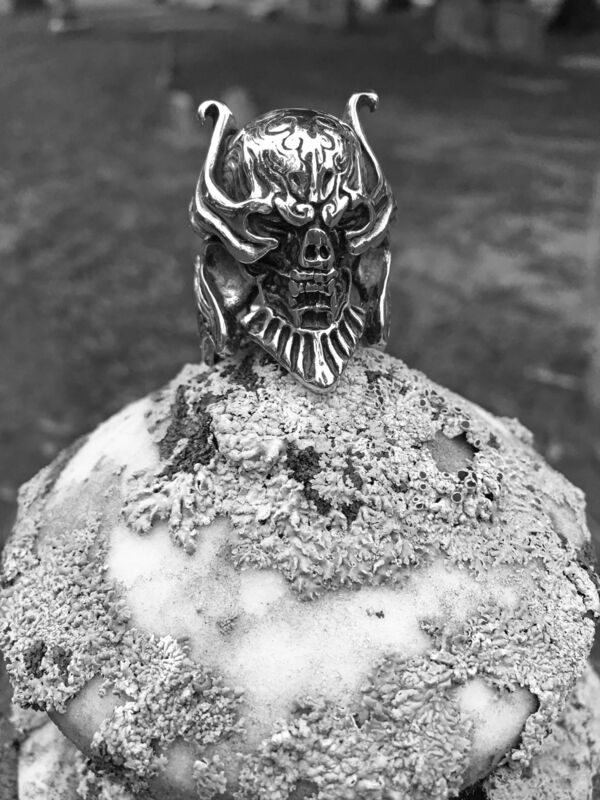 We have a large, heavy ring that depicts the face of a pacified demon called Zaruba (an old Japanese word of a secretive order of magical warriors meaning "friend"). Zaruba's attributes are that he dispels confusion, detects various spiritual energies, speaks for the dead, exposes demons, sees through illusions, summons magical warriors, and guides its wearer through the Otherworld and back into the human world. "Mindf*ck ... checks out alright ... dark force ... forsaken ... harmed." We interpret the first word of spirit message to mean that the ring is something amazing that upends one's current notion of reality. "Checks out alright" could refer to the ring being safe and legitimate or could mean that the ring performs its functions properly. The reference to a "dark force" likely refers to the fact that the ring represents a pacified demon. Was the demon forsaken and harmed, or is the message saying that the forsaken spirits at large will be harmed by the ring?